This entry was posted in Calendar Awards and tagged #TheCalies on December 3, 2018 by Elizabeth Rose. At a ceremony which took place at the very apt Stationers’ Hall in London last week, the winners of the annual ‘Calies’ were announced, with Rose Calendars accepting a trio of awards. Calendar publishers attended the UK’s only dedicated awards ceremony for calendars. The Calies, launched last year superseded the National Calendar Awards, to recognise and reward excellence in the calendar industry, from retail calendar titles to Business to Business Promotional Calendars, Bespoke Calendars, diaries and advent calendars. The event was hosted by computer animator turned comedian Henry Paker, recognised for his various TV appearances and perhaps less known as a comedy writer for Michael McIntyre, Miranda, Mock the Week, Comic Relief and The Royal Variety Show. Henry kicked off his presentation with jokes about a diary he had bought at W H Smith on the way to the awards and encouraged the audience to appreciate the use of calendars compared to smartphones. His wit was quick and entertaining and came straight after a duo of rather somber industry stalwarts had given their views on the retail calendar market. Henry lightened the mood and then proceeded to announce and present the awards to the winners. 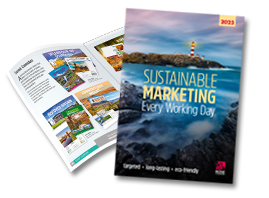 Organised by Max Publishing, the event offers the industry a chance to come together to celebrate calendars and diaries and recognise the importance of printed products with a date theme amidst impressive competition. “The Calies not only celebrate the excellence and innovation that exude on the product front, but also serve to champion the product area… to B2B corporate clients,” stated Warren Lomax, joint Managing Director of Max Publishing in his welcome speech. The judging panel comprised buyers, editors of industry press and production experts. With over 18 different categories, the awards offer various subject areas to excel in, with Rose Calendars winning 3 of these categories for their 2019 calendars. The first win came in the Best Corporate (B2B) Animals or Natural World Calendar, with ‘Deep Blue’ taking the coveted prize amidst stiff competition. Rose Calendars were then even more delighted to win the Best B2B Contemporary Calendar for ‘Ethos’, as it represents their flagship design for the 2019 calendar range, illustrating how calendars can promote your business brand and make your marketing message unmissable. The third award, making it a trio on the night for calendars printed by Rose, came for a bespoke calendar which was entered on behalf of the artist and created by the talented Rodney Matthews, entitled ‘Electric Rock’ in the Best Corporate (B2B) Bespoke Calendar category. Two of the shiny and dramatic trophies are now back at the Rose Calendars factory and will be displayed with pride in recognition for the hard work and creativity which has gone in to these deserving calendar titles. The third Calie award is now with Rodney Matthews for his well deserved win for the ‘Electric Rock’ calendar. This entry was posted in Calendar Awards, People, Rose Calendars News and tagged #360interactive on November 29, 2017 by Elizabeth Rose. This entry was posted in Benefits of Promotional Calendars, Calendar Awards, Marketing and Advertising and tagged #360interactive, #interactive, #interactivecalendars on February 9, 2017 by Elizabeth Rose.